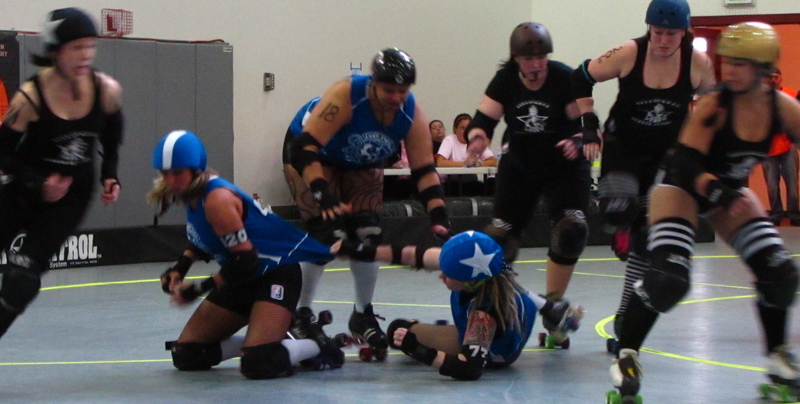 If you can’t play nice, play Roller Derby! 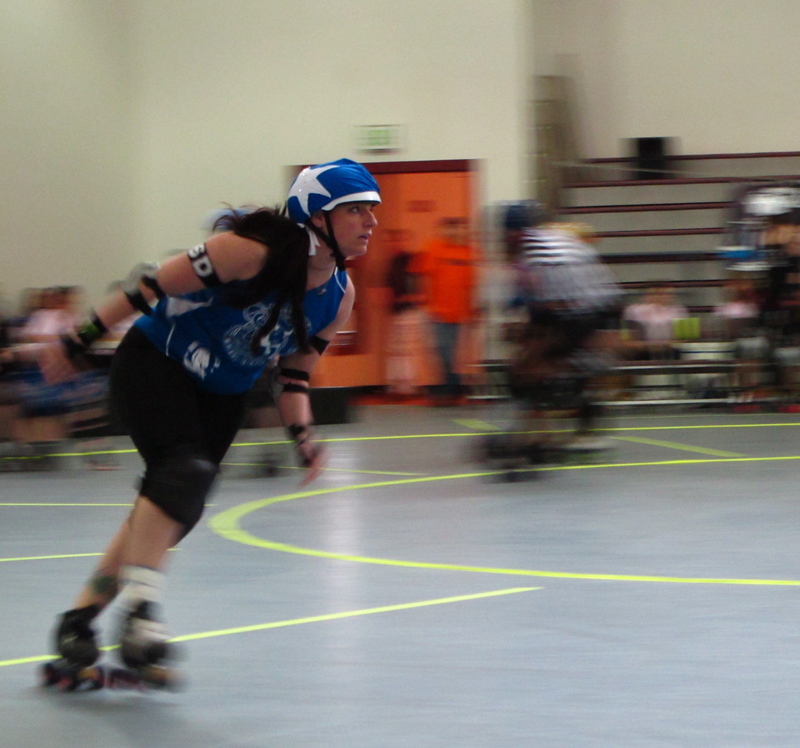 Today, it’s all about Roller Derby! Again! Get excited! 1. 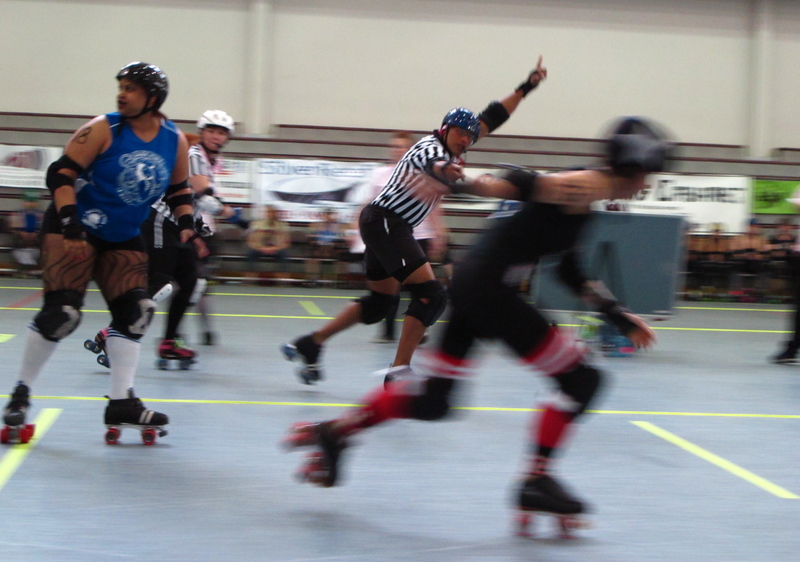 Roller Derby started in 1935 with a roller skating endurance race wherein 6 skaters skated for 6 solid days. They completed a total of 57,000 laps around a rink in Madison Square Garden, NYC (the equivalent of skating across the continental US) for $500 prize money and at the end two of the skaters died, including the winner. I’ve also seen the names “Sandra Day O’Clobber” and “Walker Texas Mangler,” both of which are incredible. 4. 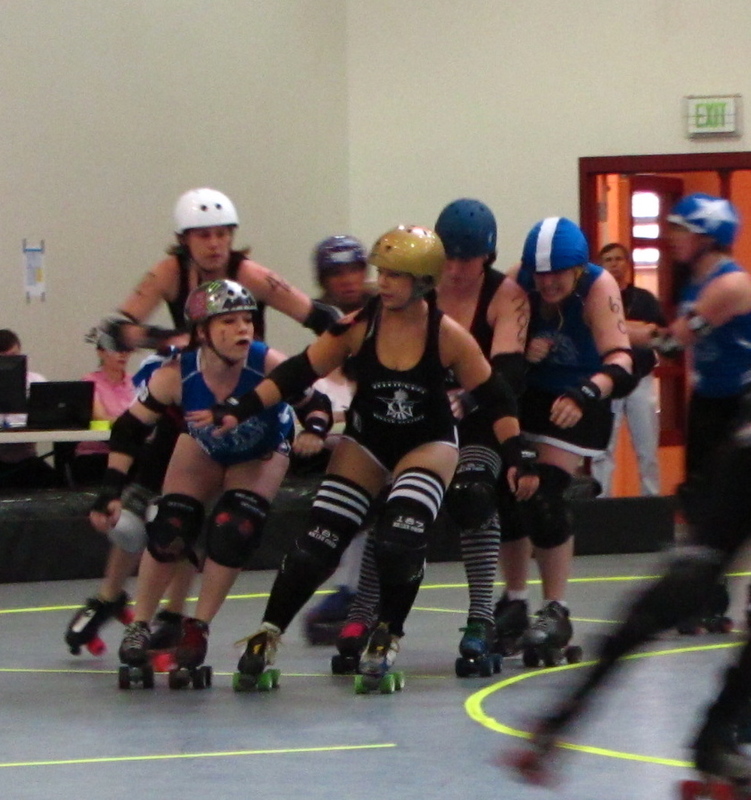 We all picked derby names for ourselves during the game. Bet gave herself the derby name “Runya Ovah” and I named my niece “Tricksy Pixie” and my nephew “Crash’Her Smash’Her.” Chris is undecided but likes “La Furia” and he and Bet gave me the name “Mad Maxine.” We didn’t use this name generator but if you can’t think of a roller derby name, go here. 5. 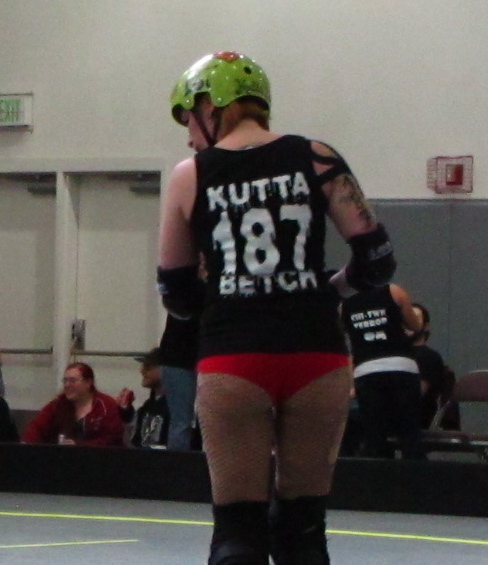 Roller derby bouts also have clever names, with the holiday bouts being among the best (naturally…). How about “Cinco de May-hem” and “Spanksgiving” ?? 6. 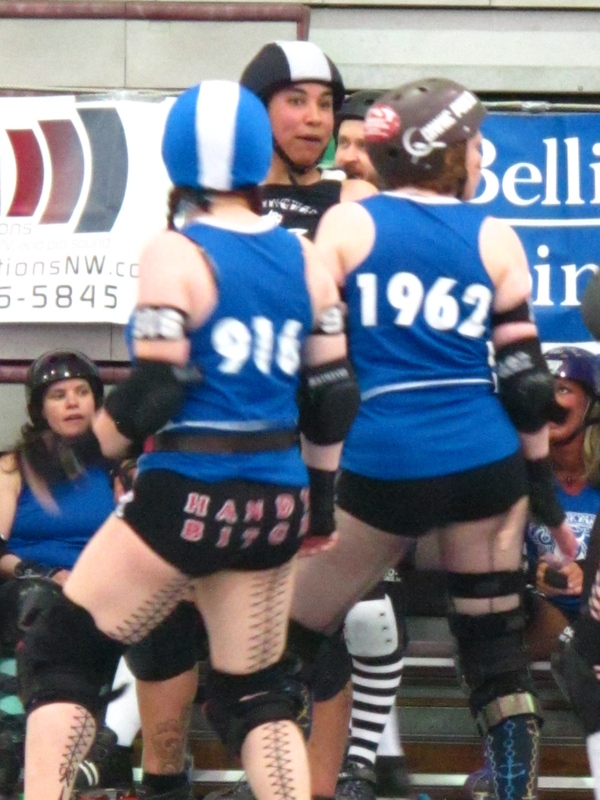 The most famous roller derby queen, Ann Calvello, started skating roller derby at age 18 in 1948 and competed a final time in 2000, 52 years later. 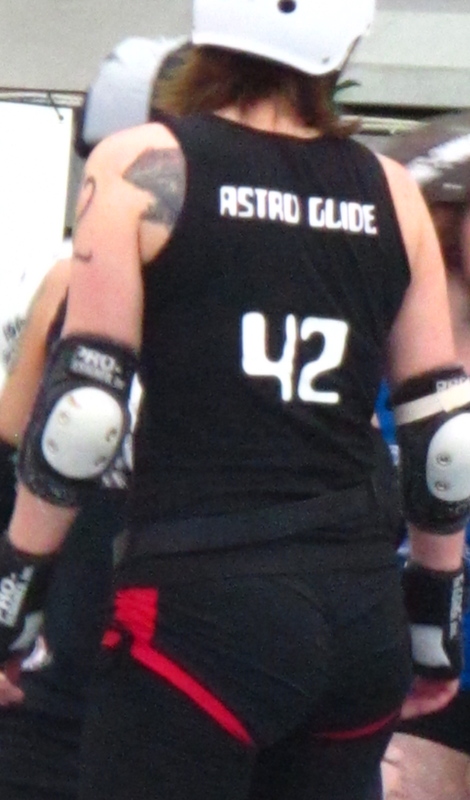 The roller derby girls named their championship cup after her. 8. 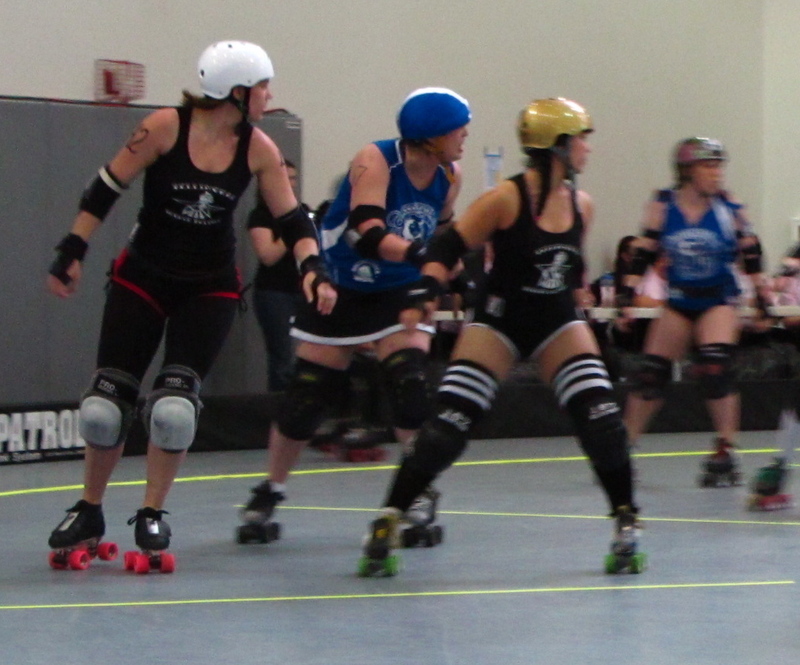 Roller Derby fashion leans heavily towards fishnets, booty shorts and thigh high socks. 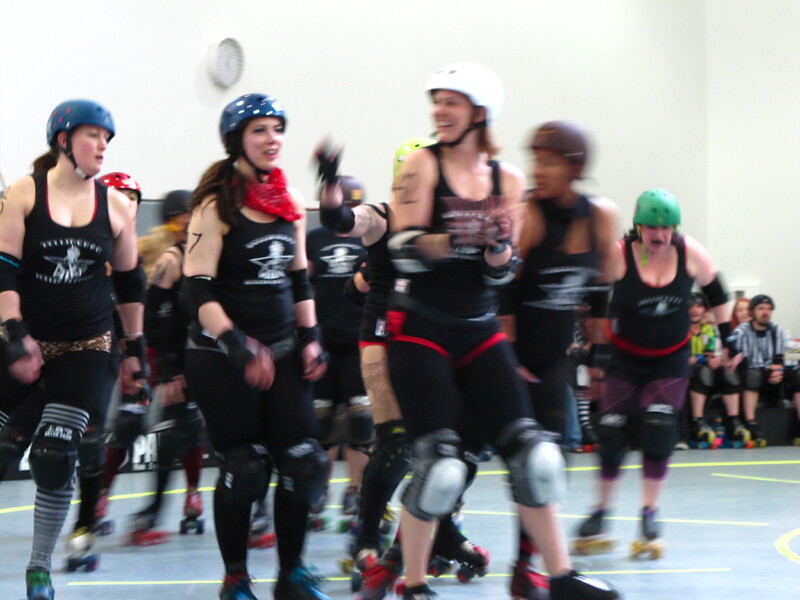 This blog post tracks booty short ownership with length of time associated with roller derby in a very corporate looking graph. 11. The importance of a good color commentator cannot be overstated. If the commentator’s remarks are silly and lascivious and full of sexual double entendres, all the better. Also, make a penalty wheel and mark spots for spanking and pillow fights as well as whatever else strikes your fancy. Spin the wheel at half time and penalize the player with the most time in the penalty box. Make fans happy. 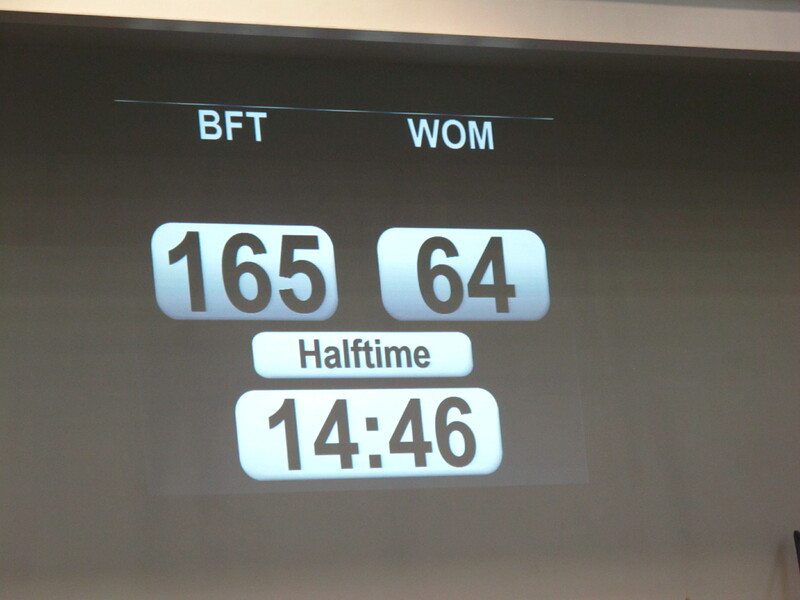 Also, please try to match teams more evenly because scores like this make us sad. 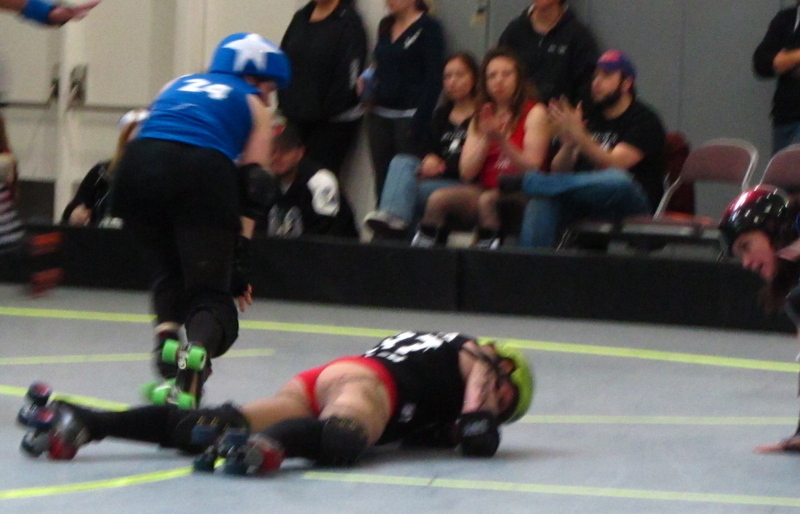 This entry was posted in A Month of Holidays, Bellingham, WA, Roller Derby and tagged Another wholesale slaughter, Blunt Force Trauma, I got yer "play nice" right here!, Roller Betties, some clever person needs to come up with a good roller derby slogan, Wave of Mutilation. Bookmark the permalink. did i not comment here that this was some of the most well spent $15? can’t WAIT to go again. so so so so awesome. truer words… That was a pretty epic evening all around!